Apr. 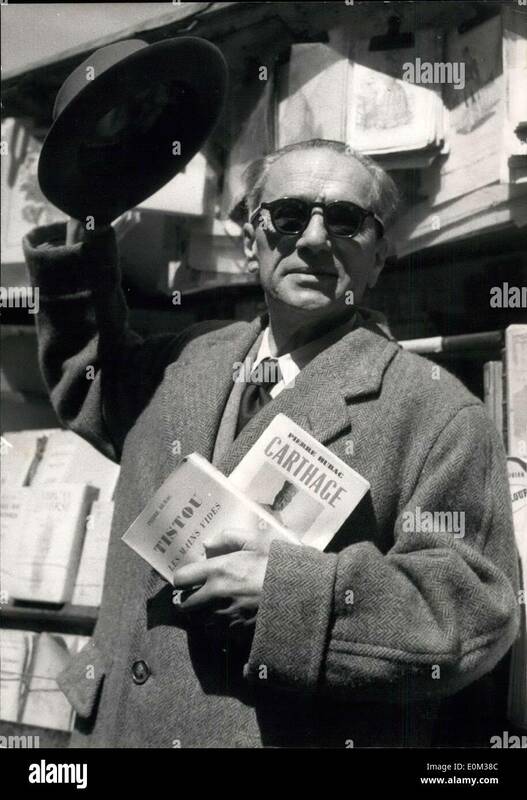 30, 1953 - PRIZE FOR BEST ''UNKNOWN NOVEL'': 45 year old French Author Pierre Hubac who was awarded a prize for his tow novels ''Tistou Les Mains Vides'' and ''Carthage''. A jury of seven quay-side booksellers emulating the ''High Brow'' litterary prizes decided to award a special prizz for the best ''Unknown Novel'' to draw the attention of the critics to an ''interesting but unpublicised book.